Marshall Municipal Utilities (MMU) is now accepting applications for the position of ELECTRIC METER TECHNICIAN/LOCATOR. The Electric Meter Technician/Locator performs technical and manual work to complete locating duties that are requested within the MMU Service Territory through Gopher State One Call. A full and detailed job description can be downloaded from MMU’s website at www.marshallutilities.com under career opportunities. • Basic knowledge of electricity and previous experience in locating. • Knowledge of regulations used by Gopher State One Call locating service. • Knowledge of electric safety policies and procedures. • Knowledge of Arc Flash categories and responsibilities pertaining to job tasks being performed. • Knowledge of Metro-Tech locator to locate underground electric and water lines. • Ability to read maps and verify all utilities have been marked. • Knowledge of electric meters and wiring of transformer rated metering. Compensation for this position ranges from $53,376 to $66,720 commensurate with experience and qualifications. MMU also offers an excellent benefits package. Applicants should submit a completed application, resume, and three references to: Leslie Hisken, Marshall Municipal Utilities 113 South 4th Street, Marshall, MN 56258 or via e-mail to leslieh@marshallutilities.com. Application information can be obtained by calling 507-537-7005, contacting Marshall Municipal Utilities in person or via e-mail at leslieh@marshallutilities.com. 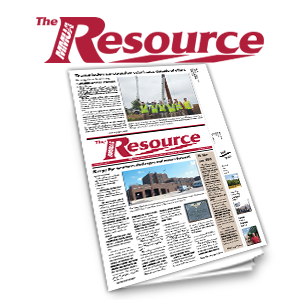 An application for employment can also be downloaded from MMU’s website at www.marshallutilities.com under career opportunities. Deadline for receipt of applications is Friday, March 1, 2019. Position shall remain open until filled. Tentative starting date is Monday, April 15, 2019. Marshall Municipal Utilities is an Equal Opportunity Employer.